Chicken Perattu| Porattu is an authentic Kerala nadan chicken recipe, which is generally prepared using nadan chicken. But here I have used broiler chicken to make this recipe which is easily available every where. The way chicken is prepared in this ecipe is, with full of nadan flavours. 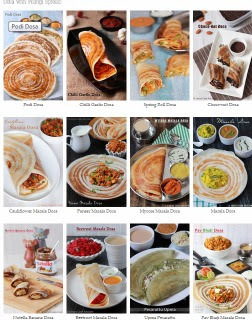 The main flavours are from the coconut oil, curry leaves, garam masala. 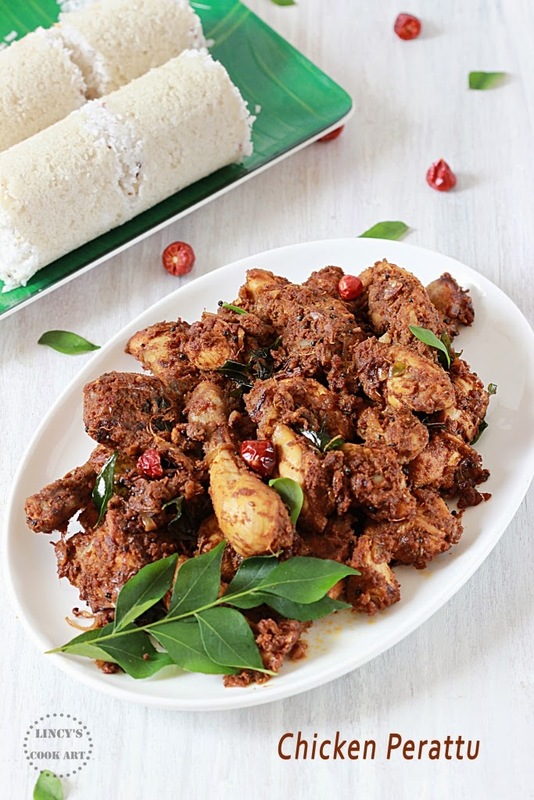 This is a simple tasty dry chicken preparation which could be consumed with rice, rotis, puttu, kappa, appam, etc,. This dish has become our family favourite as it is a real toothsome recipe. Perfect dish for parties or get togethers too. Simple yet a delicious preparation. Not only the dish's taste is awesome the smell as well is also absolutely appetizing. I have followed Lakshmi Nair's recipe and made some changes. Do try and let me know the results. Remove the skin from the chicken and clean the chicken; cut them in to small to medium sized pieces. Roughly chop small onion, green chillies, ginger and garlic;grind as a coarse paste in a blender jar or crush them in a pestle and mortar. Add this with the cleaned chicken then add salt; add the masala powders such as turmeric powder, chilli powder and coriander powder; add1/2 teaspoon of garam masala and 1/4 teaspoon of fennel powder. Remaining garam masala powder and fennel powder we will add at the final stage to lift the flavours. Mix well with hand to evenly mix and set aside to marinate for 15-30 minutes. In a pan directly add the chicken and add 1/4 cup of water and close with a lid and cook till soft. In another pan heat oil and splutter the mustard seeds and add the curry leaves. Now add one chopped large onion and fry till golden brown in that oil. Add the cooked chicken masala and mix well. Now increase the flame and allow to dry the chicken masala. Check for salt, sprinkle the remaining garam masala 1/2 teaspoon and fennel powder 1/2 teaspoon and mix well. If you wish drizzle coconut oil on top while the masala get dried up. Note: As it is a Nadan Kerala preparation using coconut oil gives real taste and flavour to the dish. To make it more healthy i have used refined oil for cooking and for flavour finally drizzled a teaspoon of coconut oil. You could make this dish short cut by avoiding small onions and using ginger garlic paste in that place. When you saute large onions add the green chillies too. so full of flavors and sounds really delicious... got to try!